Continuing from a couple days ago, I have finished fine-tuning the accelerometer control as well as resolving an issue of constraining the driving nub’s location. 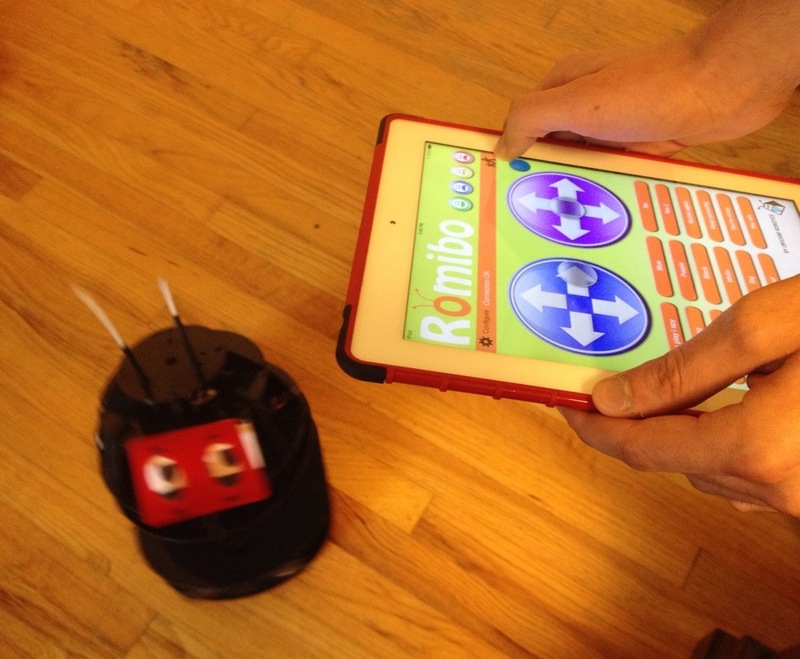 Now, if the controllers need to take their eyes off the screen, they can still drive Romibo by tilting in the direction they want the bot to move. See pictures below! 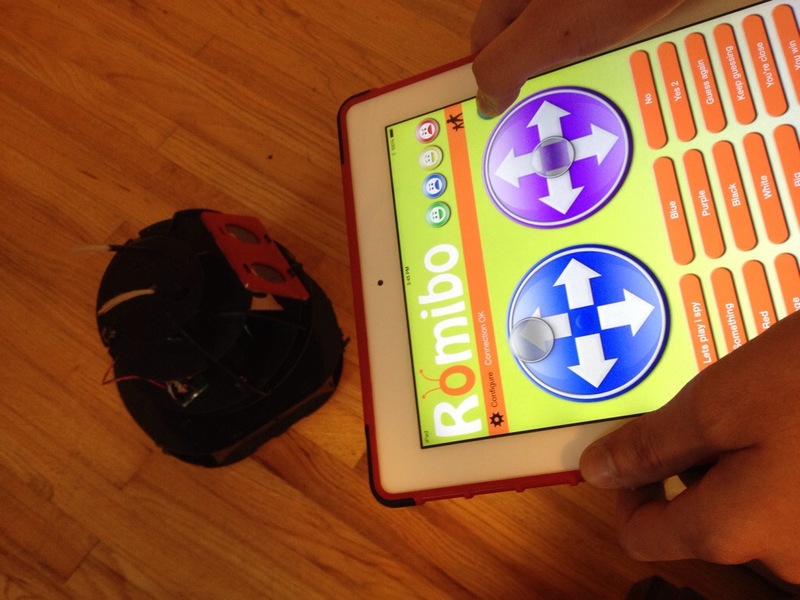 1 Response to Steer Romibo by Tilting the iPad! hi Suvir- a great idea, one we hadn’t even considered. It will be much more intuitive for folks to operate. I can’t wait to try it out.